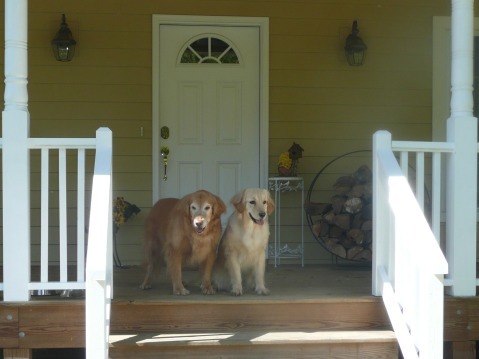 May is National Pet Month and we thought it would be perfect timing to remind you about what a great vacation destination Asheville is for both you and your pet. What makes a great pet vacation destination? Well, we think there are several factors. Here are some of the reasons we think Asheville is the pet-friendly place you're looking for when it comes to traveling with your furry friends. It's a city that goes above and beyond to accommodate your pet, making it an ideal vacation spot for them and for you. Vacationers love to visit Asheville's beloved attractions. The good news is that your pet is welcome at many of them, too. The grand and historic Biltmore Estate allows pets on their grounds as long as they are leashed and picked up after. The Omni Grove Park Inn recently became pet friendly, too. Chimney Rock State Park is a wonderful place to bring your pet. Hiking trails in a range of ability levels makes for a fun day out with your pet. There are plenty of places to cool off in the Rocky Broad River, too. Chimney Rock allows pets in all of the outdoor areas of the state park. The park requires that pets be leashed and accompanied at all times. The Blue Ridge Parkway offers a pet-friendly place to explore the trails and see the sights. Craggy Pinnacle Trail at Craggy Gardens at Milepost 364.4 on the Parkway ends with a stunning 180-degree view of the peaks and valleys of the Blue Ridge Mountains. Continue on to Milepost 418.8 and enjoy the Graveyard Fields Trail which offers waterfalls and wading pools that your pet will appreciate on a hot summer's day. Asheville has a host of city parks where leashed pets are welcomed with open arms. 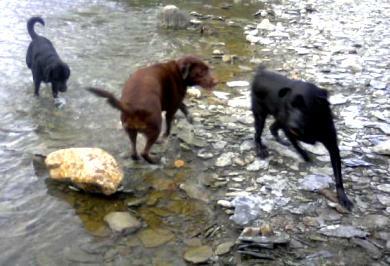 In addition, Asheville's Azalea Dog Park and French Broad River Dog Park allow unleashed pets a place to roam free. Water and baggies are available on site, also. Asheville's Urban Trail is a 1.7-mile museum without walls. It begins and ends at Pack Place offering 30 bronze sculpture stations throughout downtown Asheville highlighting the city's history, famous people and more. The Urban Trail is pet-friendly and your pet will appreciate the combination of art, history and culture found here. Part of exploring a city is indulging in the fine fare that the local eateries have to offer. Don't leave your pet behind on your culinary adventures. Bring him along to these pet-friendly Asheville restaurants where he can accompany you during your dining experience on the outdoor patio, deck or cafe. You can find a list of Asheville's pet friendly restaurants here. Pet-friendly vacation rentals are the only way to travel. Don't be confined to a small hotel room and the rules and restrictions that come with a hotel/motel stay. Instead opt for wide open spaces, fenced-in areas where your dog can be freely unleashed, and all of the comforts of home you'd like to enjoy while on a vacation. 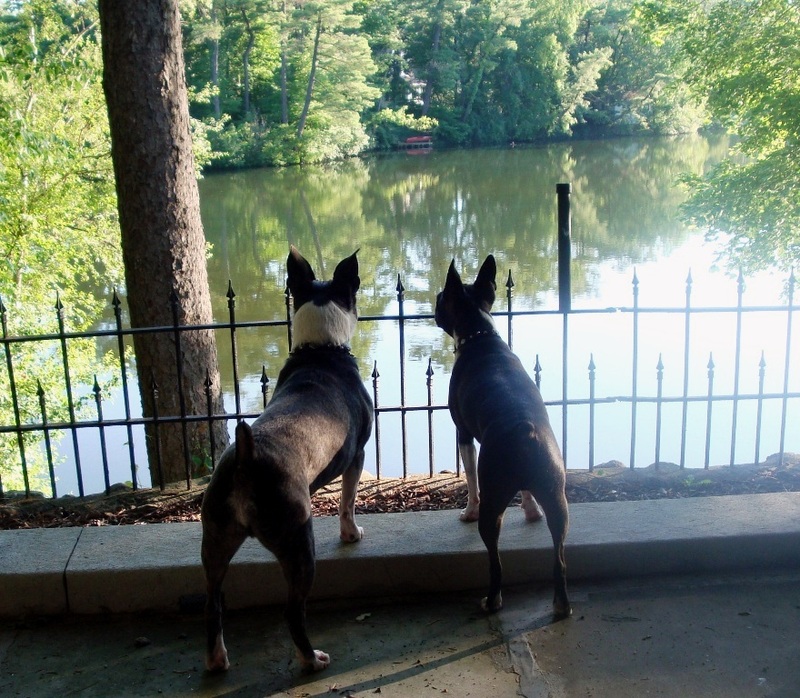 Asheville's pet-friendly accommodations offer all of this and more. Pet-friendly housing includes cabins, chalets and homes in a variety of sizes and styles with the amenities that suit you and your pet. We think you can see why Asheville is considered one of the best places to take a pet-friendly vacation. In addition to attractions, restaurants, parks, trails and vacation rentals that are friendly and welcoming to pets, there are some great places to pamper your pet and shop for your pet. Let us know if you've traveled to Asheville with your pet. We'd love to hear about your pet-friendly adventures. Our comment section is always open. Happy traveling—we hope to see you and your pet in our city soon!